The fund to build a “life changing” first road on a small island is gaining momentum. A JustGiving crowdfunding page has already attracted more than 50 donations and £3,000 towards building the route on Sanday Island. 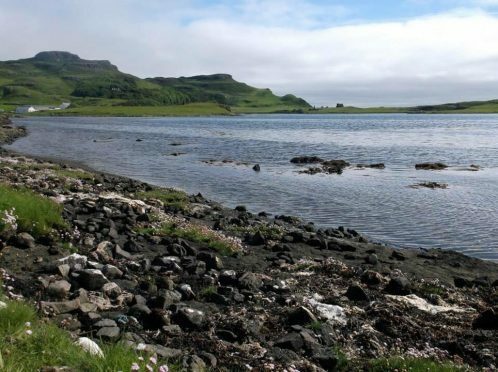 The page was set up by the Isle of Canna Community Development Trust, IOCCDT, which has already raised a large proportion of the cost of building the road. Sanday is connected to Canna – one of the Small Isles – by a bridge which can take vehicles and the new track “will make a huge and immediate difference” to the lives of everyone living there. The new road will stretch from the Canna bridge to St Edward’s Church. It will be approximately 1.5 miles long and almost 10 feet wide, and will be made using locally sourced materials. “This will make a huge and immediate difference to the lives of everyone living there. It will enable islanders to travel freely by vehicle from the pier on Canna to home on Sanday, carrying basic supplies such as shopping, fuel for heating and for getting back and forth to work on Canna. Alongside the track, the trust wants to create a trail to link the sites of interest on Sanday together. These include the bridge itself, the shrine, machair and sand dunes, bird colonies, St Edward’s Church, Sanday lighthouse and local archaeology. Donations on the JustGiving page have come in from both local and Canna residents, as well as Orkney Islanders and people who have visited the island. To date the JustGiving page has reached £3,020 of its £14,708 target. A total of £17,000 has already been raised towards the project, including £9,000 from the National Trust for Scotland, 5,000 from the MacIntosh Foundation and £1,000 each from the Campbell Fund and Noble Caledonia.